Stewart has returned for a second stint working with Derek McInnes at Pittodrie. Aberdeen have completed the signing of forward Greg Stewart on loan from Birmingham City. 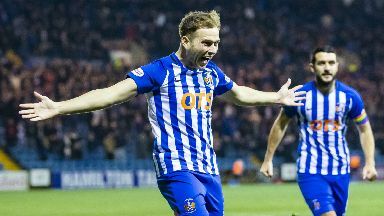 Stewart had spent the first half of the season at Kilmarnock and scored eight goals in 16 appearances as Steve Clarke's side pushed at the top of the Premiership table. However, Birmingham City recalled the player during the winter break, though manager Garry Monk said the Scot was not in his plans. Stewart, who is now in the last six months of his contract, now returns to Aberdeen, where he played on loan last season under Derek McInnes as the Dons finished second in the Premiership. The 28-year-old has been registered in time to play against Stenhousemuir in the Scottish Cup this weekend..